GCCC is pursuing various aspects of offshore carbon sequestration, including a global needs assessment and identifying synergies between an international community of parties interested in offshore storage. Explore the links below for presentations, posters, and publications. 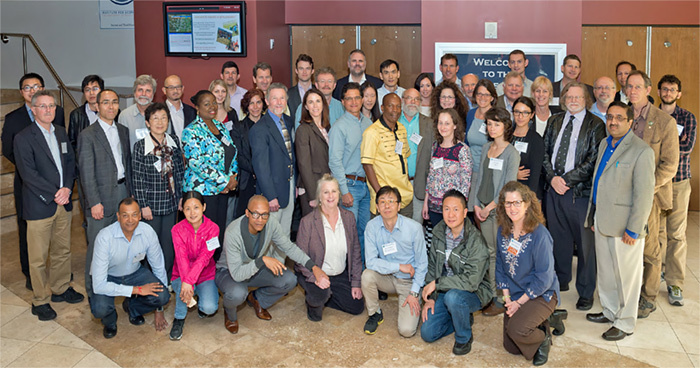 GCCC was delighted to host the Second International Offshore Geologic CO2 Storage Workshop June 18–20, 2017 at the Center of Innovation, Commercialization, and Entrepreneurship at Lamar University. Long Term Prediction of CO2 flow Behavior by Field Scale Flow Simulation Model—Yutaka Tanaka, Daiji Tanase, Takayasu Honda, Japan CCS Co., Ltd.
GCCC was delighted to host the first International Offshore Geologic CO2 Storage Workshop April 19–21, 2016. Please see below for agenda and technical presentations.